California's housing crisis has prompted public leaders and citizens alike to examine the policies and practices that shape the state's use of land, including how and where housing gets built and preserved. Using a brand new set of data profiling land use policies and practices in 252 cities and 19 unincorporated county areas across California, this working paper series explores important questions about the relationship between California's land use and housing policies and their impact on the state's residents and communities. 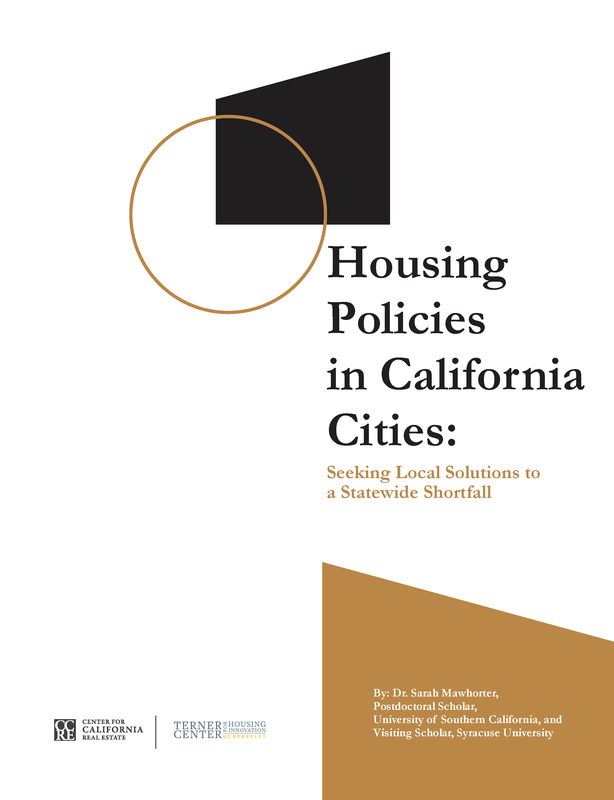 The Terner Center for Housing Innovation and Center for California Real Estate present a working paper series, authored by leading academics and researchers from across the country. Utilizing the Terner Center's California Land Use database, researchers explore the implications of California's local and state policies on the production of housing, including what kind of housing gets built, who gets to live in that housing, and the connection between housing and employment opportunities. Decisions about housing development are made at the local level, encouraging or deterring growth in ways that shape patterns of affordability and opportunity. This paper explores the local land use policies and planning practices, along with housing, economic, and demographic characteristics, that shape housing development in California cities, with a specific exploration of the consequences of these patterns for young adults. Check back for more papers. Key findings from the Terner Center California Residential Land Use survey. Sarah Mawhorter and Carolina Reid (2018). Terner California Residential Land Use Survey. Berkeley, CA: University of California, Berkeley. We would also like to create a library of reports and research that use the survey. Please send us your work products to ternercenter@berkeley.edu. The most up-to-date, publicly available resource for understanding land use policy and practice in California jurisdictions.